Drawing and Planning have successfully secured a Discharge of Conditions for condition no. 1 (Car-Free) attached to prior approval permission dated 08/07/2015, ref: PA/15/01343. PROJECT Discharge of Conditions for condition no. 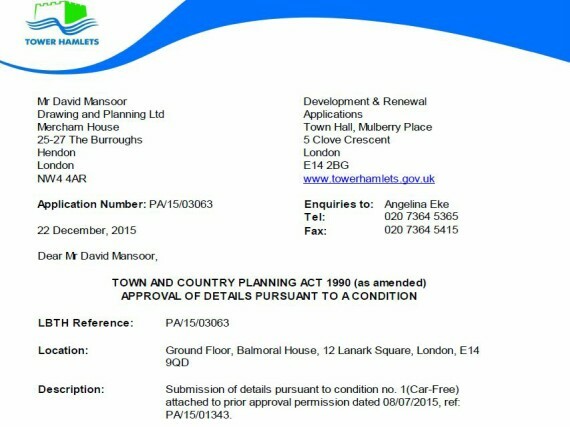 1 (Car-Free) attached to prior approval permission dated 08/07/2015, ref: PA/15/01343.